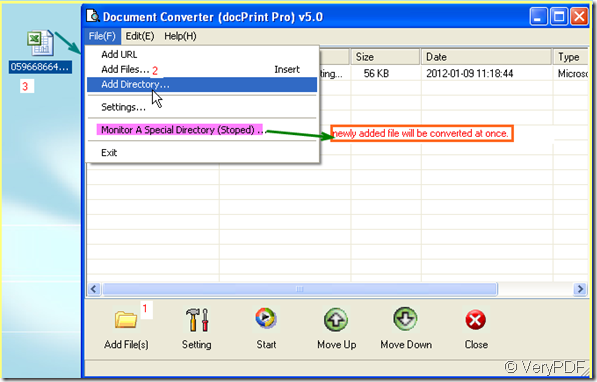 ← How to convert documents of Microsoft Office Excel to PCD? Have you ever thought that if I can convert the excel to pdf, Excel to tif, that would be better? Is that occurred to you that you are in a hurry to convert the xls to tif ?Then you can insert the tiff file to your PDF file or word document. If all that happened to you, this article will help you a lot. I will introduce you a way about how to insert the Excel file content to a word document or a PDF file. We know that the Excel only can be inserted to other files in the form of attachment. But the attachment can not be shown together with the other file content. It will be a headache if you need to do a presentation by the material. I will convert the Excel to tiff first then insert the tiff file to my other documents say a PDF document. Then the Excel to tiff can settle this matter for you. Now I will show you the detail steps to finish the conversion. Steps 1. Download a software named docPrint Pro. docPrint Pro not only can convert Excel to tiff but also can convert nearly all the printable file to image file or PDF file. 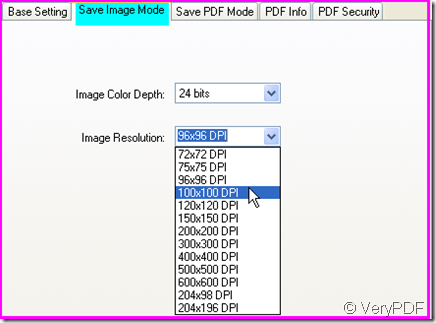 No matter xls to tif or excel to pdf, all can be done by software docPrint Pro. If you feel a little doubt about it, you can have a free trial by clicking here:http://www.verypdf.com/artprint/docprint_setup.exe If you want to know more about it, please click here. Steps 2. Add Excel file or files to docPrint Pro. There are three way for you to choose like I show in the picture. It has a special function that need attention here. If you need to convert one file format to anther daily then you can choose a option “Monitor a special directory”, then once you add a file to this directory, it will be converted according to your order at once. Steps 3. Set options for converted file. Say if you need to convert Excel to tiff, please choose tiff as the output file format by clicking setting button at base setting sub label. 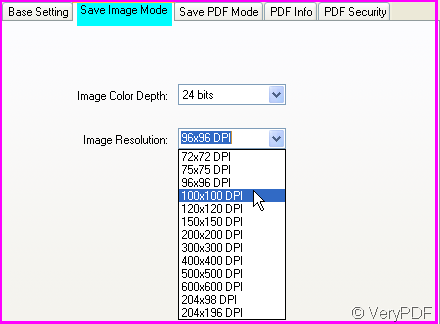 If you need to adjust the image color depth and image resolution, please go to save image mode sub label. Steps 4. Make the conversion. Click the button “start” to end the conversion from Excel to tiff. And you will be reminded to choose a folder to save the converted file. Three seconds later maybe, you will get the tiff file showing the Excel content. Converting xls to tif is a easy thing to handle. This is the end of the conversion. If you feel this way let you feel excited, please do not hastate to experience it yourself. If you have any question or better idea, please tell us. We will improve it at once. Convert PowerPoint to image in batches. This entry was posted in docPrint Pro and tagged docPrint Pro, Excel, excel to pdf, xls to tif. Bookmark the permalink.